EARLY BIRD TICKETS ARE NOW ON SALE! THE PRICE FOR GENERAL ADMISSION TICKETS WILL BE GOING UP STARTING JANUARY 1. 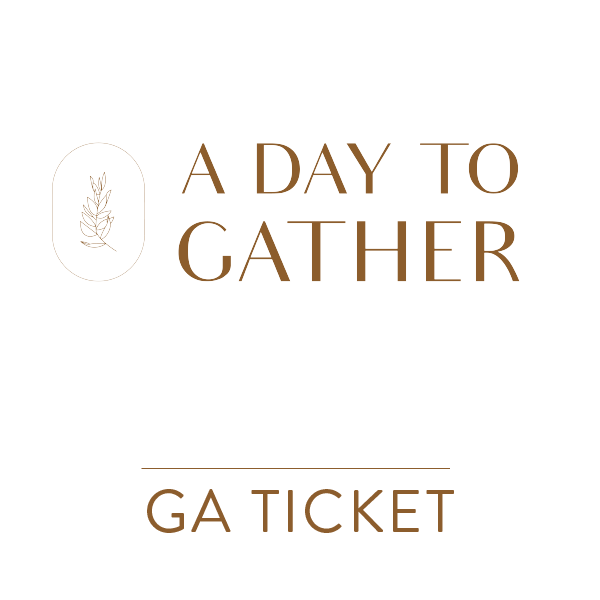 What does a GA admission ticket include? Access to light breakfast, coffee, water, juices; long table community luncheon; access to all panels and break out sessions; happy hour, and Gather Seattle tote bag full of goodies and local discount. Tickets are non-refundable and non-transferable. What does a happy hour ticket include? Can’t join for the full day? No problem. Join us in the evening for a happy hour with a mix of alcoholic and non-alcoholic beverages, and lite bites. Enjoy time to connect with event attendees before our all day event comes to a close.